There are millions of ideas about reusing wood slices, tree stumps and to make lovely decorations for home place. Here, I present you a few of them. 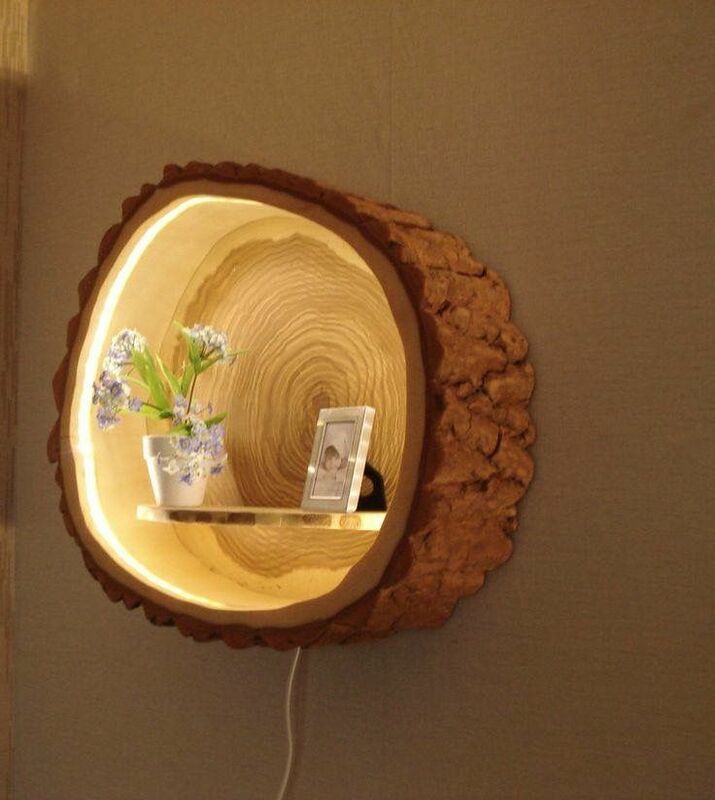 For example, how to make nightstand of wood, wood slices wall mirror, a bathroom cabinet of wood stumps, how to make wall shelves with a light of wood stumps. Take a look in the photos and inspire yourself and by the way, don’t forget to share it with friends! When you are already at our amazing website check our last post about decorative wall mirrors that looks adorable! 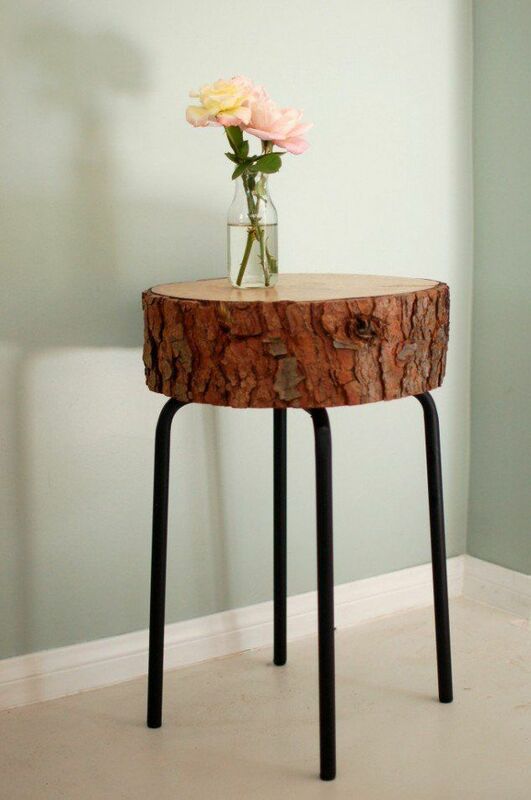 We all need a plus table in our home that we will use it for adding flower pots on it, coffee etc. Having a wooden nightstand table makes you the happiest person in the world. 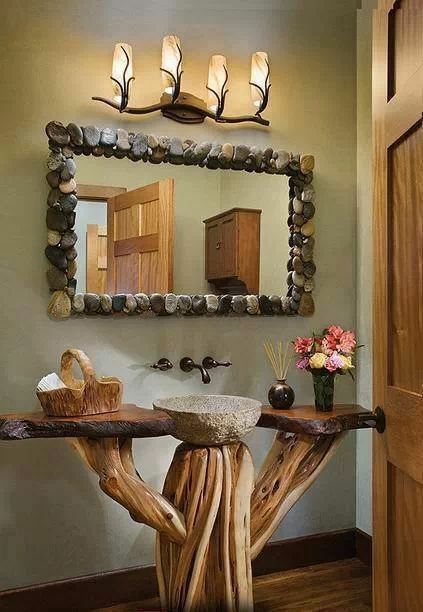 Bathroom cabinet can be made of wooden reused tree stumps. 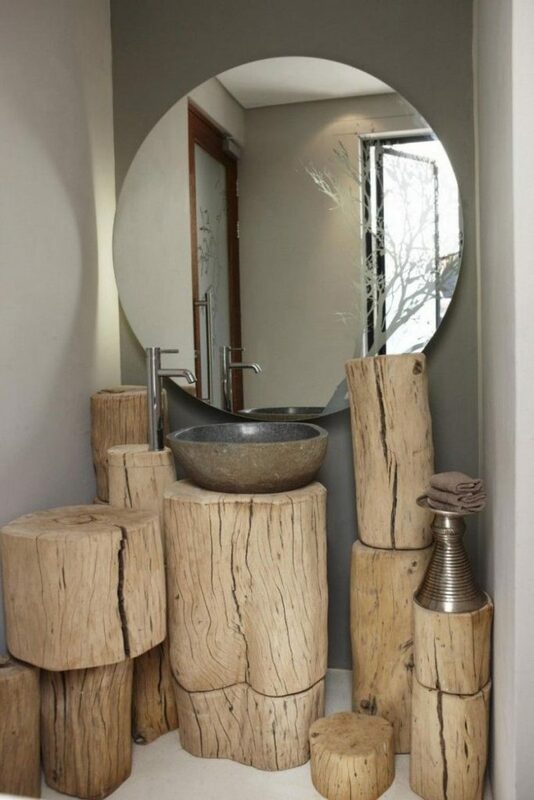 Use differently shaped and sized stumps to make lovely bathroom design. It’s boring to have ordinary candles at home interiors, so add wooden logs candles that will create a romantic look. this is a do it yourself idea that every one of us can make it in no time. Your bathroom place can have this design and it can be just made of trees. And as you can see the mirror frames are made of stones which is another great inspiration for your free time. Reusing wood is great and fun and all you need is motivation! 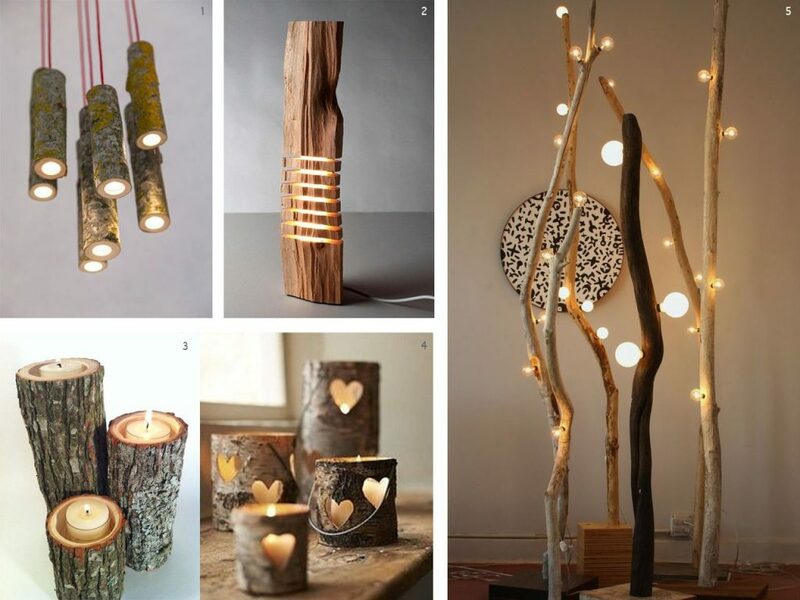 If you are creative you can make log chandeliers, log lamps, log floor lamps. Wood is an amazing decorative element and when is combined with lights we get total 10 on a scale from 1 to 10. 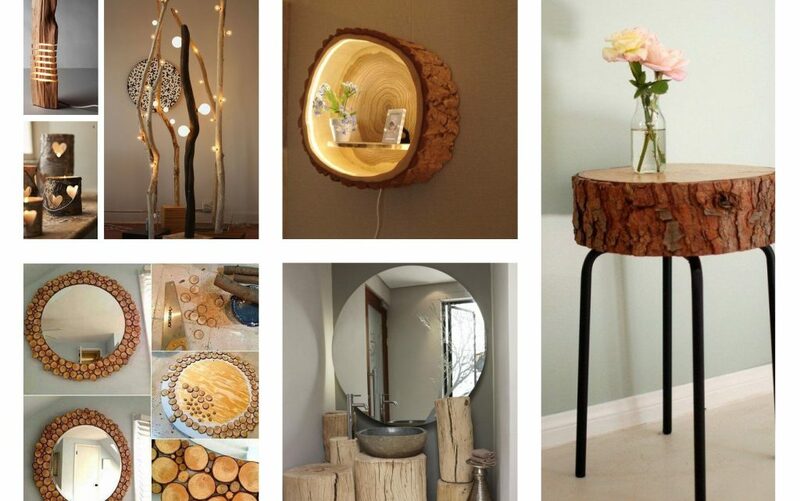 Take a look in these amazing wood lights that you can make it just by yourself at home! Who says that you can’t have wall shelves made of wood and combined with lighting? Who says that you can do it yourself? Just try it, and I’m telling you that you can, make this craft and bring the style on your house walls. Check this photo and try with the project during the weekend! It’s nice when you have own idea about how to make a do it yourself mirror at the wall. 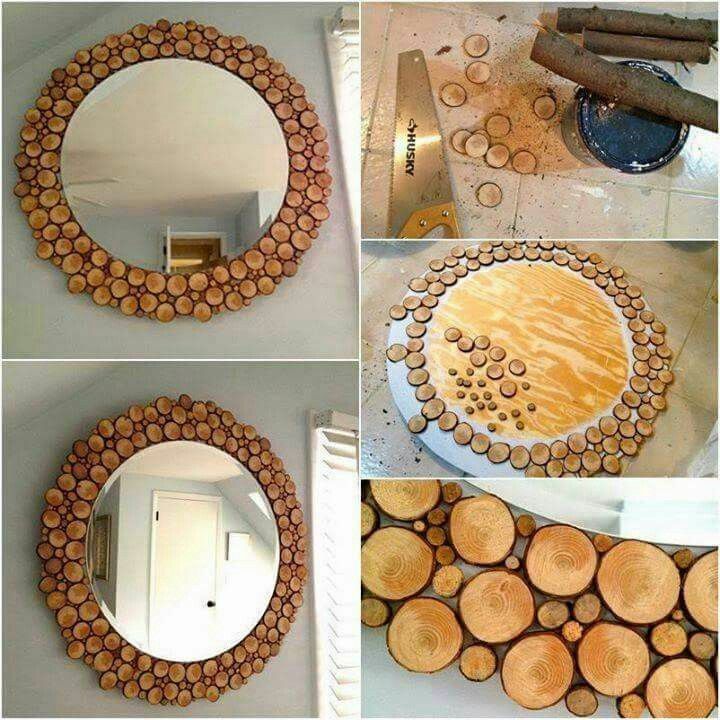 Our idea for today is about wood slices wall mirror that looks impressive. Follow the instructions in the link and learn how to make this project at home. for the end of this article, I want to thank you for attention and to wish you a nice end of the week! Have fun with our DIY projects ideas!